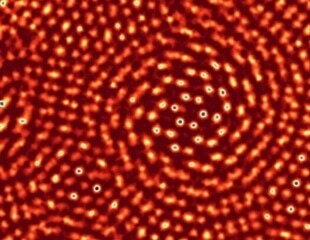 Researchers at Cornell University have used ptychography to achieve the highest resolution ever produced in an electron microscope. The team, led by David Muller, Professor of Applied and Engineering Physics, recently reported their findings in the July 19th issue of Nature, outlining their ability to resolve images to a resolution of 0.39 Å.
Phasefocus provides a range of products and services based on its proprietary Ptychographic Quantitative Phase Imaging technology to provide a wide range of analytical applications including label-free cell imaging and quantitative electron phase microscopy. Phase Focus Ltd (Phasefocus), the company that is revolutionising microscopy and imaging with the Phasefocus Virtual Lens®, has been invited to present a two day workshop on label-free cell imaging at CATIM – the Centre for Alternative Testing and In-vitro Monitoring on Tuesday 24th and Wednesday 25th June. The meeting will take place at the Frenchay Campus of the University of the West of England, Bristol. Phase Focus Ltd (Phasefocus), the company that is revolutionising microscopy and imaging with the Phasefocus Virtual Lens®, reports on how optical lens practitioners are using the Phasefocus high-precision Lens Profiler to study potential clinical complications arising from corneal oxygen deficiency. Phase Focus Ltd (Phasefocus), the company that is revolutionizing microscopy and imaging with the Phasefocus Virtual Lens® technology, reports on the Celldance competition results held at the recent annual ASCB meeting. KTP associate, Dr Rakesh Suman, was runner up with his video entitled "Cellular Heaven & Hell." Phase Focus Ltd (Phasefocus), the company that is revolutionising microscopy and imaging with the Phasefocus Virtual Lens®, announces the availability of the Virtual Lens series of label-free live cell imaging systems. Cell imaging often relies on synthetic or genetic fluorescent labels, to provide contrast which can be far from ideal for imaging cells in their in vivo state. We report on the biological application of a label-free, high contrast microscopy technique known as ptychography, in which the image producing step is transferred from the microscope lens to a high-speed phase retrieval algorithm.